ORIGINAL MASS MARKET. Sequel to thriller Dead Six. 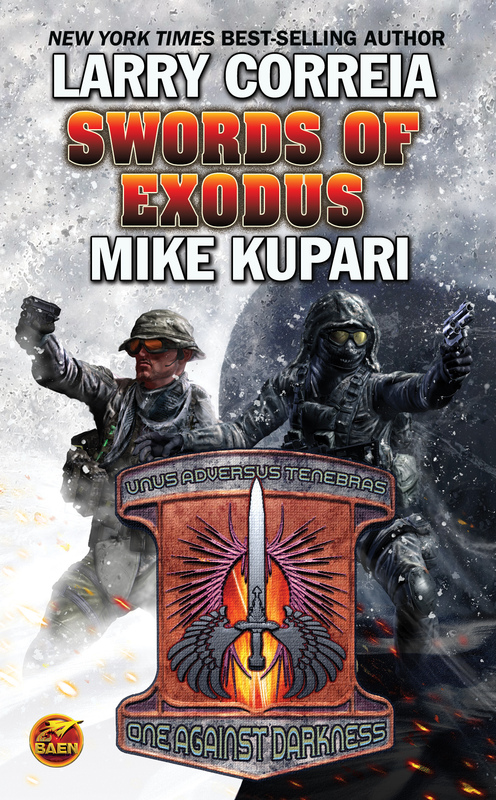 From the author of the New York Times bestselling Monster Hunter series and an Air Force weapons expert, an edge-of-your-seat military-political thriller. A master thief and a hardhitting mercenary team up to defeat a Central Asian warlord with world-wide destruction on his mind. The hard-hitting sequel to groundbreaking military adventure Dead Six. On the far side of the world, deep in former Soviet Central Asia, lies a stronghold called the Crossroads. It is run with an iron fist by a brutal warlord calling himself Sala Jihan. He is far more than a petty dictator, for Jihan holds the fate of nations in his grasp. To save a world slipping into chaos, Jihan must either fall or be controlled. One secret military organization called Exodus plans to see that this happens. For this mission, they need the best of the best. Unfortunately the man they need is rotting in an almost unassailable foreign prison. Enter Lorenzo, thief extraordinaire. Lorenzo is now retired, happily married and living in paradise. His Achilles heel: an FBI-agent brother who has gone missing—disappeared into the stronghold of warlord Jihan. Exodus promises to give Lorenzo his chance to rescue his brother if and only if Lorenzo will perform one service for them: break Michael Valentine out of a captivity from which no one has ever emerged alive. And if Lorenzo can accomplish that—well then, the Crossroads awaits the sword of Exodus.